The Harvest Moon series may go under a new name, but it’s the same old farming sim we know in love. Trio of towns is the newest game in the series and focuses on players getting to know three different towns with their on cultures. New to the game is your chance to own a capybara as pets along with new bachelors and bachelorettes to marry. Each town features it’s on regional crops, also animals, and flavors causing players to interact with each town in order open all of their options. Customization also back giving you the freedom to have some control over your farmers look. The game released in Febuary and will run you around 39.99 Usd from all major retailers. For more great games and Poke find stay tuned to Pokefind. 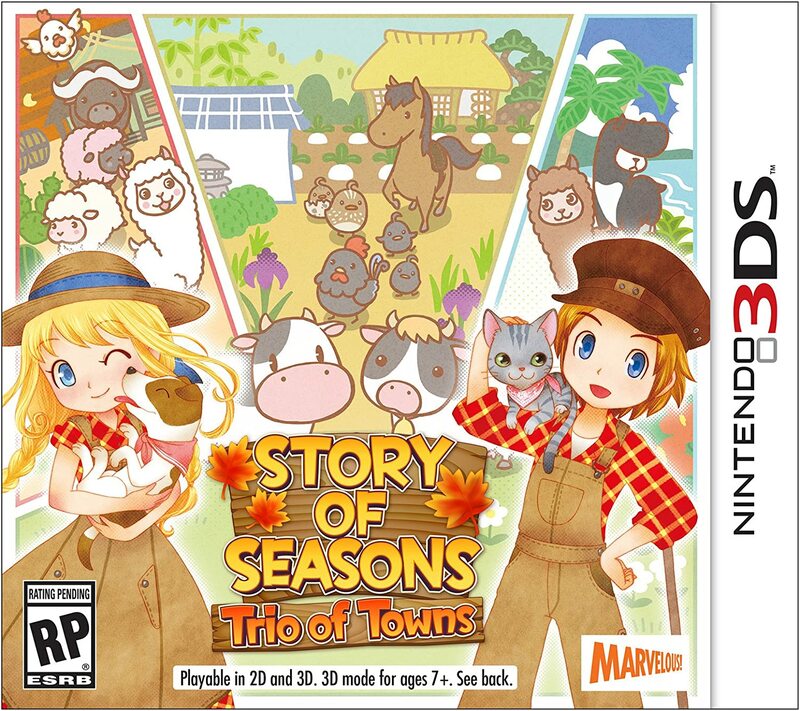 Also, don’t forget to check out other great titles in the Harvest Moon series like the first Story of Seasons and Skytree Village!